If you live in Vancouver and love seeing classic movies on the big screen, you will most likely have experienced Michael van den Bos’ film introductions at the Cinematheque’s Cinema Sundays or pre-concert talks at the Orpheum or the Stanley Theatre. “Get me up on the stage with a microphone and I can be up there forever, much to the chagrin of the audience I’m sure,” he says, coyly. Michael van den Bos is one of Vancouver’s most enthusiastic classic film connoisseurs, able to condense a film or filmmaker’s history while ensuring the audience is entertained as well as educated. 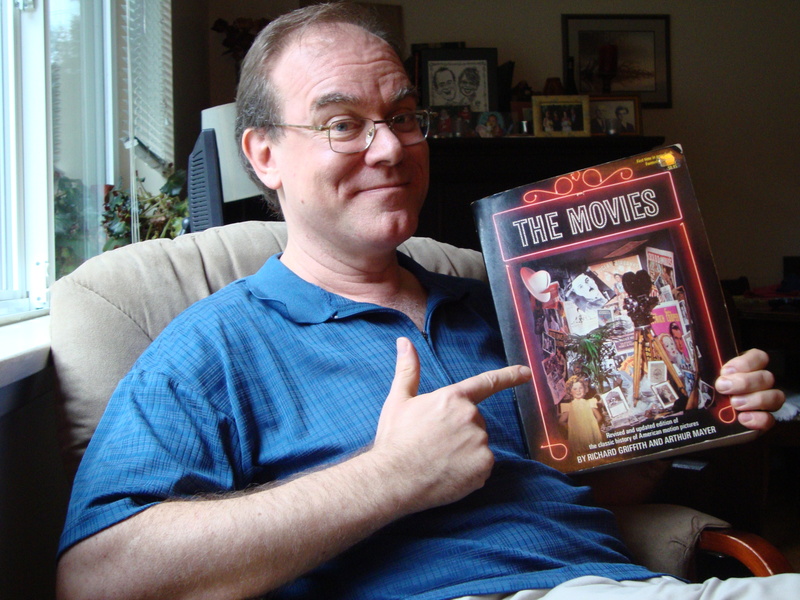 Van den Bos teaches film theory at Vancouver Film School and the history of character animation at Capilano University. He has also taught film and 20th century pop music history at the Pacific Audio Visual Institute. Raised in North Vancouver, van den Bos’ interest in classic movies was supported by his mother, a manager of hair salons. She would allow him to stay up late during school nights to watch Citizen Kane and other classics. Young Michael would soon look forward to the TV Guide in the mail and with a pen circle what he wanted to see, most likely the weekly broadcasts of classic movie programs like Stardust Theatre on CBC or any of the Tarzan, Shirley Temple and Science Fiction Theatres he’d see on KSTW from Tacoma, Washington. “One of the highlights for me was when Gone with the Wind first came on television in 1976,” says van den Bos. “It was huge, because there was no other way to see it, unless it was released again in the cinemas by MGM. Because of commercials and such, it was aired over two nights.” It would then air once a year on CBS, as did The Wizard of Oz. Today, van den Bos can think of only one television channel which can match that feeling of joy. Several years later, young Michael would regularly rent a VHS recorder, which was a big deal around 1980. The first movie he ever bought was Woody Allen’s Manhattan on VHS. 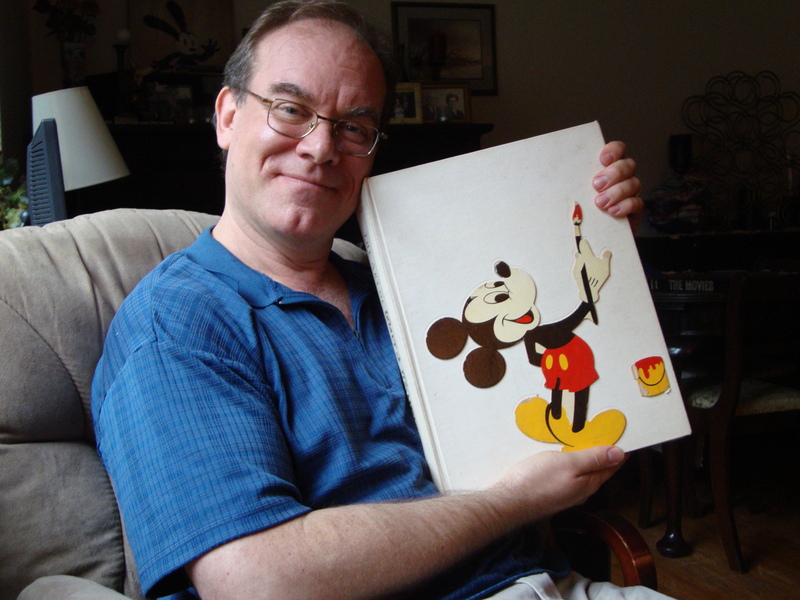 As a young man, van den Bos started working for Marv Newland’s International Rocketship animation company, first as a PA and later as a producer. Newland made theatrical short animation films, television commercials and specials, such as the award-winning Gary Larson’s Tale from the Far Side and was instrumental in van den Bos’ further education of film history. He is of the “old school” of animation and van den Bos learned all about classical hand drawn cartoons, hand inked and painted on animation cels, transparent sheets of acetate. The cels were placed over hand painted backgrounds, positioned underneath a 35mm motion picture camera and photographed one frame at a time. After working for two decades in the animation industry, van den Bos focused more on teaching the history of film, animation and popular music. All movies he ever saw impacted him and he shows a lot of film excerpts in his classes. Though he adores great dialogue writers like Woody Allen and Billy Wilder, van den Bos is a huge Alfred Hitchcock and John Ford fan, because for them the image takes precedence. In his lectures, van den Bos shows a video in which Steven Spielberg, who famously directed the black and white holocaust drama Schindler’s List, speaks about introducing his children to black and white films. Should film animation students of the digital age know about the beginnings of filmmaking? Animation artists don’t make digital effects in a vacuum. Take, for example Willis O’Brien, the stop motion animator of King Kong, who inspired Ray Harryhausen, who influenced George Lucas and James Cameron, he says. As a hands-on dad of a lovely 2½-year-old daughter, Lena and a devoted husband to his very patient wife, Lisa Phypers, an IT expert at UBC Faculty of Medicine, he juggles a busy schedule of continuing film history research, writing, teaching, guest speaker duties and, of course, watching a lot of great movies. For a 20-minute introduction, van den Bos often refreshes half a dozen films while reading several books about the filmmaker. Not only Turner Classic Movies and the Cinematheque are good sources. “I’ve rediscovered the Vancouver Public Library system which has an amazing collection of movies on DVD,” he says. Liz Schulze, Education Manager at the Cinematheque, is excited to confirm that Singin’ in the Rain, van den Bos’ favourite musical, will kick off the family musical series on Sunday, January 19, 2014. A new Digital Cinema Package (DCP) copy will be one of the first films to play on the then brand new installed DCP projector, which was partly financed through a successful Kickstarter campaign. Van den Bos and Schulze are hoping they can convince the Disney company to license the right to screen Mary Poppins, as the film’s 50th anniversary falls in 2014. They try to find a balance between family-oriented films and the sophistication of a cinematic perspective, says Schulze. The Cinema Sunday audience is indeed a mix of families with children and youth, as well as adults who are nostalgic about the films they saw decades ago. The way van den Bos speaks about musicals is contagious, says Schulze, even for those who are not well acquainted with the genre. “It’s hard to not mention his incredible passion for film,” she says. “It takes enthusiasm to another level.” But Schulze also praises his knowledge and experience as a public speaker, which is appreciated by the audience, who reportedly say they love his intros. And his own stardust dreams? We know he would be the perfect guy for the job. -visit his film blog Movie Mad. –If you are interested in subscribing to his monthly e-newsletter, Michael of the Movies, which details his upcoming classic film talks and screenings, send an email to vandenbos@shaw.ca. This entry was posted in Arts & Culture, Film, Vancouver and tagged CBC Stardust Theatre, Cinematheque, Cinematheque host, classic movies, film, film connoisseur, film experts, Hollywood Theatre Vancouver, Katja De Bock, Michael van den Bos, Movie Madness, Musicals Vancouver, Turner Classic Movies fan, Vancouver film screenings by westsidebeat. Bookmark the permalink.